Scientist, Thomas Harper (Robert Redford), has proved the existence of an afterlife. However, this discovery has tragic, unforeseen consequences as hundreds of people start to commit suicide in order to “get there”. On the anniversary of Harper’s breakthrough, his estranged son Will (Jason Segel) returns to make his father take responsibility for what he has done. However, a chance encounter with a woman called Isla (Rooney Mara) makes Will reassess his own role in the discovery. I am drawn to smart science fiction stories and, therefore, found The Discovery’s concept intriguing. Combine that with an impressive cast and I couldn’t wait to watch this Netflix Original Film. 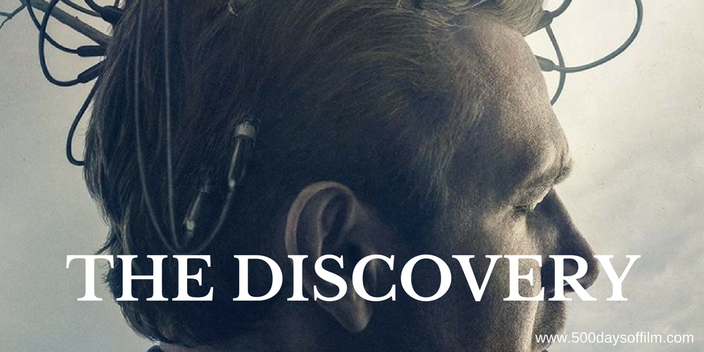 The Discovery starts out pretty well with a number of interesting plot lines pointing to some potentially gripping future revelations. Director, Charlie McDowell, portrays disturbing cult behaviour (with interviews reminiscent of Scientology audits) while also evoking such films as Flatliners and Arrival as he explores time, death and the human experience. Meanwhile, Sturla Brandth Grøvlen's cinematography is arresting and, together with an unsettling score from Danny Bensi and Saunder Jurriaans, the film’s brooding and suspenseful atmosphere builds. Sadly, however, The Discovery cannot deliver on the promise of its intriguing concept. Despite its notable cast, the film becomes sluggish - failing to engage on any emotional level. Characters feel more like plot devices than real people (cue mountains of dull exposition), the central romance between Isla and Will is unearned and it is hard to care about any of them. In a world where Denis Villeneuve’s Arrival exists, this just feels disappointing. By its final act, I had lost patience with The Discovery. As a result, when the film started to throw twists at me, I could barely muster the interest in deciphering all the (frankly loopy) layers. Still, I cannot fault Charlie McDowell’s aspiration. The Discovery is a brave movie that explores many complex themes and issues. While his film left me unsatisfied (and mildly irritated), I certainly appreciate the director’s ambition. In this impressive cast, Rooney Mara gives the standout performance. Some people have tried to pick apart and piece together the ending of The Discovery. Their theories are pretty mind bending. While I am more than happy to think about and be challenged by a movie (I often spend time musing over endings - particularly, as I recall, Denis Villeneuve’s Enemy), Charlie McDowell’s film hasn't inspired me to delve any deeper, much less watch The Discovery again for hidden clues. Have you seen The Discovery? If you have, what did you make of this movie? I’m intrigued by your thoughts! Do let me know via Twitter or Facebook or leave me a comment in the section below.